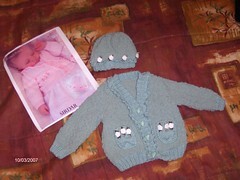 Hi all I have finally finished the Artful Yarns Broadway # 92131 Cardigan with Ruffles .. this took be 2 weeks to complete . 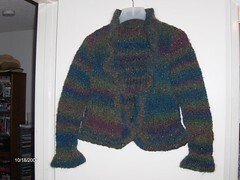 Took about 10 balls of Broadway artful yarn. this is for a Size Medium . Hopefully Patricia at The Slipt Stitch in El Segundo likes it. Okay so this is what I am working on Now ... 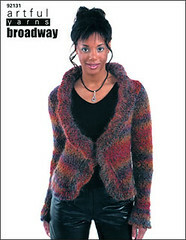 I have the yarn Broadway yarn think it's all jazzed up .. it's mohair and very hairy .. working on the back and i am at the Neck and shoulder shapping .